A selection of our cases as inspiration. Aarhus Water and NISSEN energy have had solid cooperation for a number of years, which has helped to strengthen Aarhus Water’s leading position and ambition of “being an international lighthouse for energy production and resource utilization of wastewater“. It started out with collaboration on optimizing their existing 2 gas engine systems. Since then, NISSEN energy has so far delivered 2 pieces. NPM357 Gas Engine Units, 1 pcs. NPM 250 Gas Engine Unit, 1 piece. Unigas P61 burner and 1 pc. Unigas GB HP30 burner. In 2016, the CHP plants delivered 6.710 MWh of electricity and 8.130 MWh of heat were produced. In addition, NISSEN energy has supplied a gas treatment plant that processes approx. 1,500 million m3 of biogas annually. 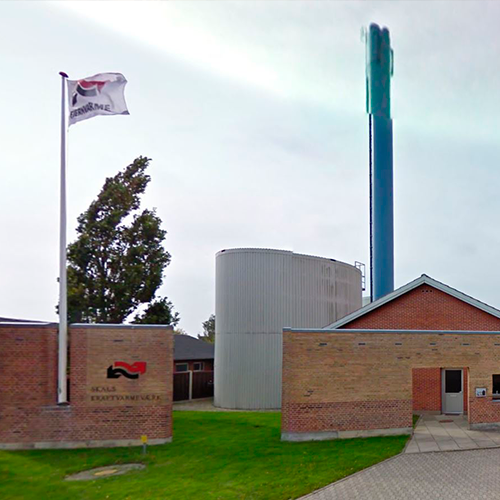 At Marselisborg WWTP, Aarhus Water was reviewed and optimized the heat distribution system, so the sale of district heating became an option. 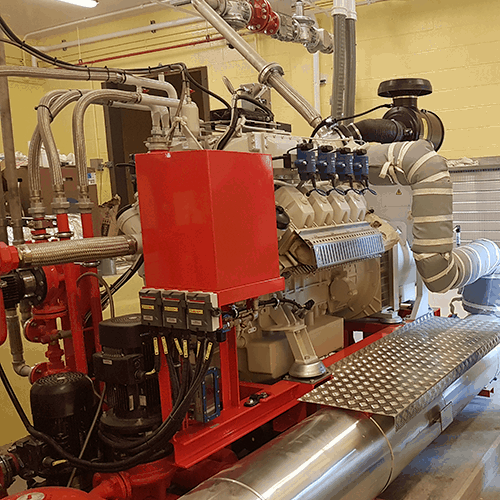 NISSEN energy performs service and maintenance of gas engines, burners, gas treatment plants and torches at Aarhus Water’s various plant locations. 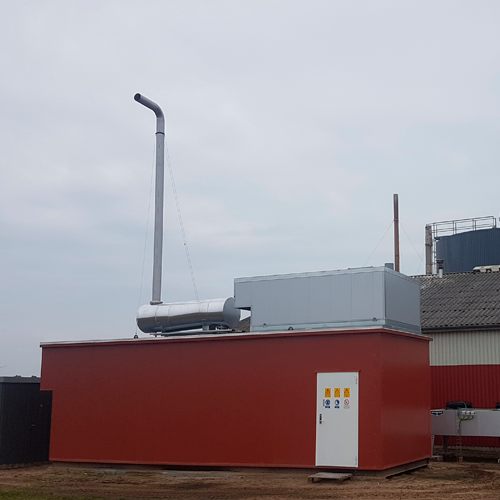 Previously NISSEN energy replaced the existing Jenbacher 208 gas engine with a new MAN E2842LE322 gas engine unit on this farm biogas plant in Rødekro. In addition to the design, drawing, delivery and commissioning of the engine-unit, the project included an expansion of the plant’s heating system and also delivery and start-up of a burner-installation. 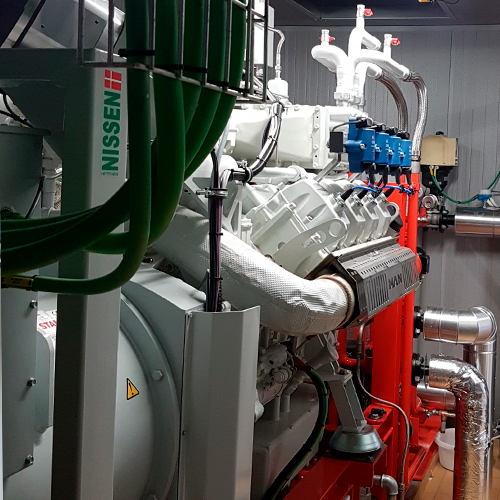 Subsequently, Farmer Michael Sangild, in addition to this plant, chose another engine solution from NISSEN energy, this time a gas engine plant based on MAN type 3262LE212 built-in container. NISSEN energy carry out maintenance on all equipment supplied. 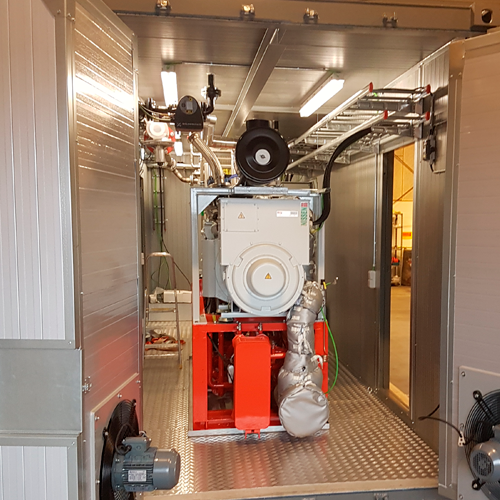 Delivery of a complete NPM (NISSEN Power Module) 210kW for FORS A/S to Bjergmarken WWTP.The gas engine plant, based on a MAN E 2676 LE 212, is delivered as a turnkey system built into 40 foot Cube container complete with ventilation system, lubricating oil storage and gas treatment. The gas engine plant utilizes the produced biogas from the treatment plant’s processing plant to produce electricity and heat. 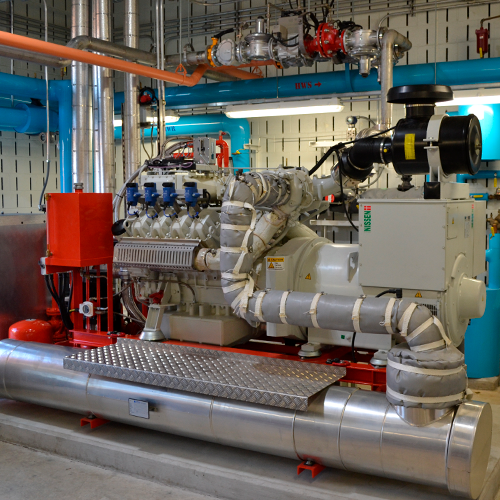 The plant adds another NISSEN plant to FORS’s already installed gas engine plant at Holbæk WWTP. NISSEN energy performs service and maintenance at the plant. One 375 kW MAN gas engine system based on a MAN E3268 LE 222 gas engine supplemented with 1 pc. 900 kW biogas boiler. The supply also includes installation and design of complete heating-, ventilation-and gas systems. The gas system is designed to remove silicon and sulfur compounds. 1 pcs Q65-250 carbon filter and gas cooling were also supply. NISSEN energy were also responsible for authorities processing, start-up and quality assurance of the delivery. In addition to supplying the power plant, a complete oil tank installation for waste-and lubricating oil, 12 meter chimney and gas booster were provided. Downers Grove Sanitary District is situated in Illinois, USA. DGSD is responsible for the treatment of wastewater from the city of Downers Grove, and partly from the cities of Westmont, Woodridge, Lisle, Oak Brook, and Darien, Illinois. DGSD daily handles wastewater for over 60.000 residents and many industrial customers. DGSD has the capacity to treat 11 million gallons. NISSEN energi teknik has delivered 1 pcs. NPM375 CHP and accompanying ventilation system. NISSEN energi teknik has been ordered to review an existing CHP plant. This plant does not have the desired operational efficiency, and it is NISSEN energi teknik’s task to come up with improvement proposals. We are proud to say that the DGSD project was selected as a Public Work Project of the Year in the Environment Category (Less than $5 Million) from APWA Chicago Metro. In cooperation with Tjæreborg Industri, NISSEN enery delivered, installed and commisioned 2 pcs. 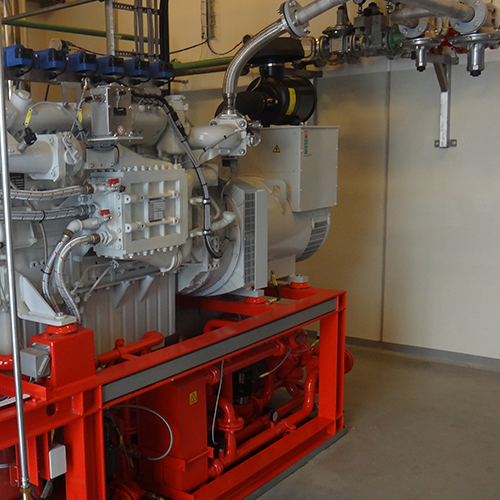 15 MWZantingh RKB 12 HO Low-Nox burners for Frederikshavn Forsyning. One burner is equipped with Economiser and the other with the Optinox system. Both burners were delivered complete with control board incl. Built-in Siemens LMV burner control with touch screen. For another of Frederikshavn Forsyning.s plants NISSEN energy delivery deliver a new Zantingh RKB 9.0 gas burner. This delivery was incl. new control panel with autoflame MM MK7.0 EVO control and new combustion air fan and silencer. NISSEN energy carries out service and maintenance of gas engines, burners, gas treatment plants and torches at Frederikshavn Supply’s various plant locations. 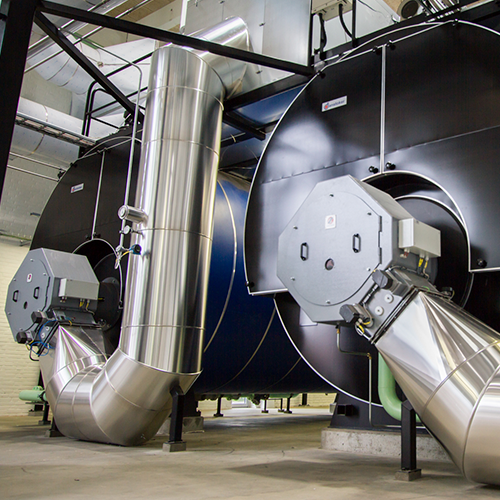 NISSEN energy performs service & maintenance on external equipment:Torches and incinerator. Other things, which can be included as a natural part of our service packages are gas filters, gas ramps, gas/emergency coolers, ventilation systems, plate heat exchangers, electricity boards etc. NISSEN energy’s co-operation with Skals Kraftvarmeværk goes far back. We have now replace earlier delivered equipment, so the plant will be kept up to date. NISSEN energy has been responsible for replacing control panels on the plant’s Zantingh RKB 600 gas burner. The older Landis + Gyr control was replaced with a new Autoflame MK7 control. Recently, the plant’s existing Zantingh 4.0 ND-DKR burner was replaced with a new model for operation on both bio and natural gas. 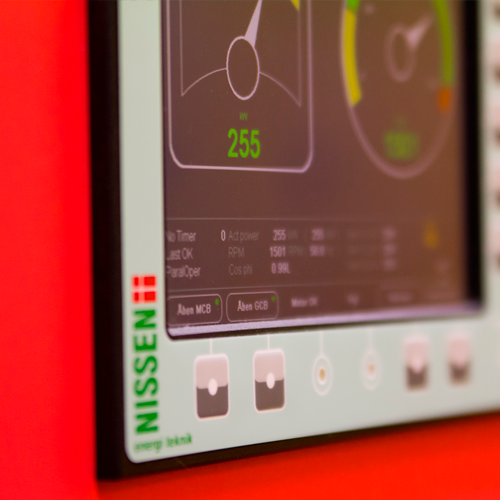 NISSEN energy performs service and maintenance on the equipment of the plant. NISSEN energy was one of the many pieces in the puzzle, when the Region Hospitalet Viborg was expanded and rebuild for Kr. 1.15 billion. The order was issued by Schneider Electric, who was responsible for the ESCO co-operation with the Region Hospitalet Viborg. The order included delivery, assembly and commissioning of 1 pc. 210 kW gas engine based on our MAN E 2676 LE 212 gas engine. This engine replaces the previously delivered MAN E 2842 E.
Included in the order was removal and removal of existing control panel, engine and fan in the bulldozer. Included was also the installation of a new inlet ventilator for the ventilation of bulldozer. Aalborg Utility is divided into two Wastewater Treatment Plant departments, that cover the need for wastewater treatment in Denmark’s fourth largest city. The plants are designed with a capacity of 440.000 PE and process daily wastewater from 225.000 residents and hundreds of companies. NISSEN energy supplied 3 pcs. NPM 250 CHP and 2 pcs. Unigas P71 burners. The CHP plants deliver 5.303 MWh of electricity annually. In addition, NISSEN energy has delivereda gas treatment plant, that annually processes 607 million gallon of biogas. Glenbard Wastewater Authority, Glen Ellyn, Illinois was founded in 1977 and is a collaboration between the 2 cities Lombard and Glen Ellyn. Glenbard Wastewater Authority is responsible for the supply of water, as well as the treatment of wastewater for approx. 109.000 residents and companies, located in Lombard, Glen Ellyn, Valley View/Butterfield and Glen Ellyn Heights. NISSEN energy has delivered 2 pcs. NPM 375 CHP to the treatment plant, and it has resulted in annual savings of over 200.000 $. Glenbard Wastewater Authority received the award “National Engineering Excellence” for the Glenbard WWTP Combined Heat & Power (CHP) project. With EnviDan A/S, as the main contractor of a new modern central heating plant for Mariagerfjord Vand, NISSEN energy delivered 1 pc. MAN E 2876 LE 322 Gas engine unit and a 440 kW boiler and burner system. The areas existing 10 WWTP plants were shut down and the new central heating plant took over the disposal of all wastewater in Mariagerfjord Municipality. The biogas from the digester tank is burned in the gas engine, which produces heat to buildings and power to the mains. 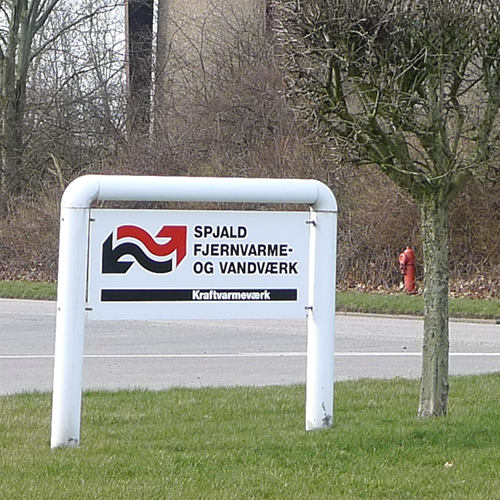 NISSEN energy ‘s co-operation with Spjald Fjernvarme-og Vandværk goes way back, since April 1991. Retrofit, we call it when new equipment is updated and made modern with the utilization of as many as possible recyclable parts from the existing equipment. In this way, NISSEN energy has delivered 1 pc. 2.5 MW combi natural gas/biogas burner at the existing boiler. In addition, servomotors and controlpanel was recycled. 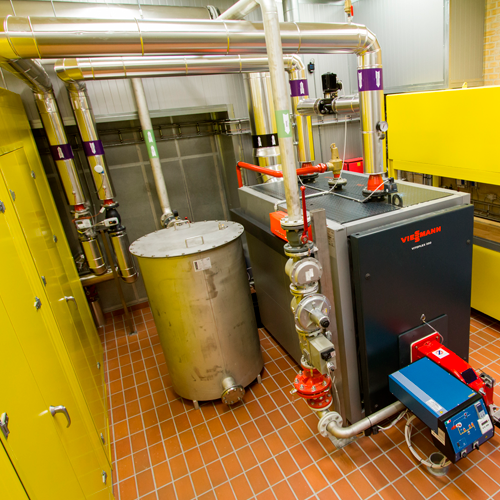 NISSEN Energy has delivered, installed and started a CHP-unit for the Crystal Palace National Sports Center in London. 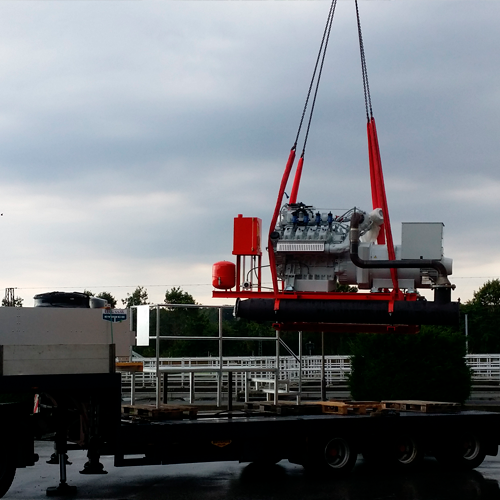 This order was one of several gas engine units delivered to Vital Energi . 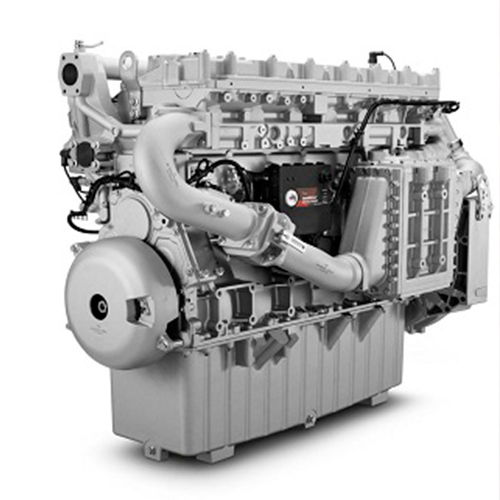 The plant is based on a 420 kW MAN E2842LE322 gas engine, and has an electrical power of 400 kW and 513 kW of heat output. The plant is supplied as a complete module incl. board system with NISSEN Engine Control, NEC Vision control system for control and monitoring of the plant. Crystal Palace National Sports Centre was used as a training center for the Olympics 2012.